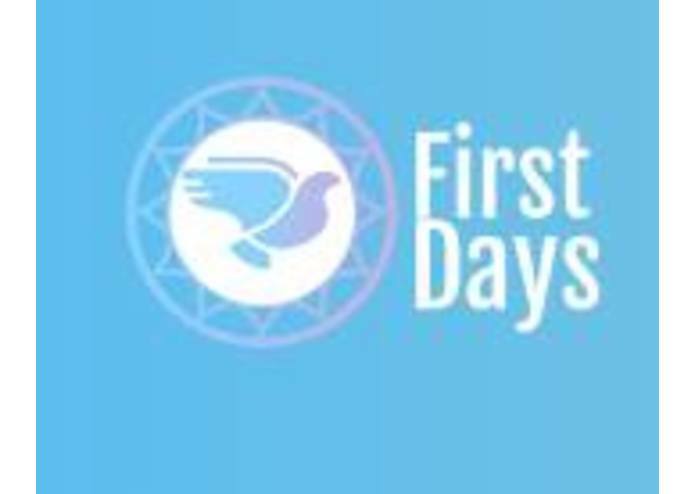 The inspiration for First Days comes from our struggles of resettling in Australia. Our family, friends, and community members found it difficult to sign up for services including Banks, Centrelink, Mobile Phone Plans or even find places we needed to go. 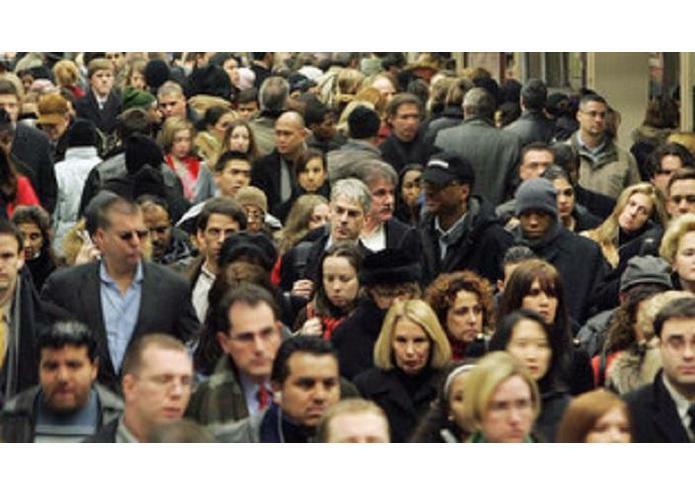 Accessing information in today's age is becoming easy but accessing the right information in your language in real time is still not a reality till now. 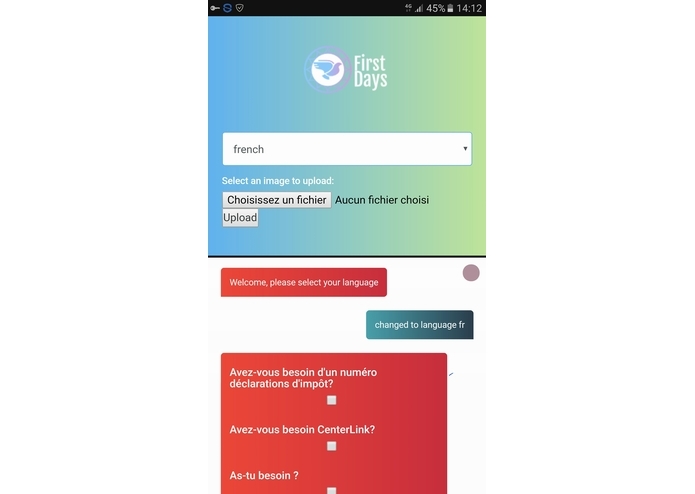 First Days is a voice application similar to Siri, which is a digital guide, spoken in the person's chosen language and is able to translate, scan documents, direct and connect a person in their language to a range of services, food-bank, aid, financial, employment and housing services. 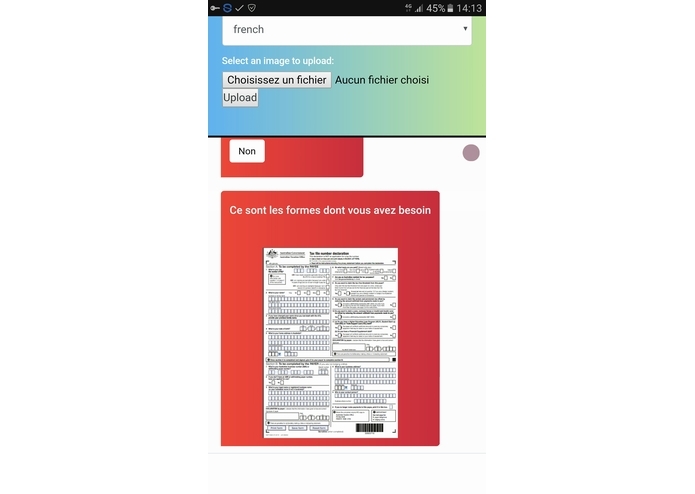 Using Google Translate API associated with API.IA and a OCR api as the core mainframe. We can add any others apis to expand our solution. Some of the challenges we experienced was attempting to narrow down our focus from a mountain of ideas and ambitions. Due to the time constraint, creating First Days from scratch in less than two days means that thorough testing and constant adaptations is very limited. 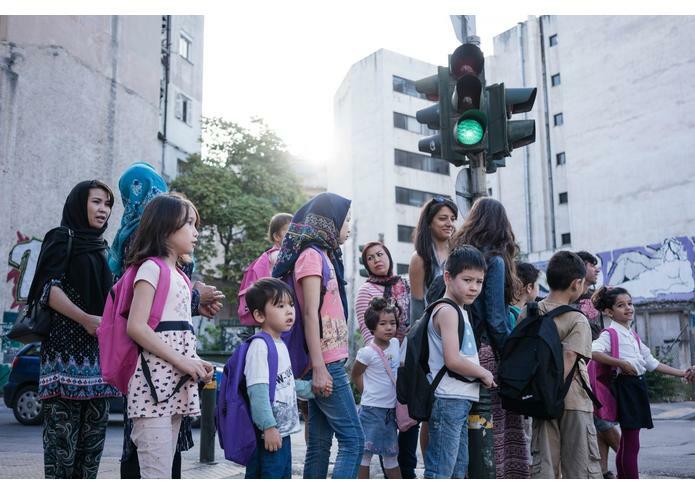 Working effectively and productively in a team, developing a solution that assists refugees, asylum seekers and migrant and better their everyday lives as well as connecting with many like-minded and passionate people from different fields are just some of the many things we are proud of it. We have learned about the different challenges refugees, asylum seekers and migrants face in Australia and how we can develop technology based solutions for them. We have also learned how to not only create Bello but how to market and pitch First Days to a set of different audiences. To be launched globally and to be also marketed to tourists visiting different countries. 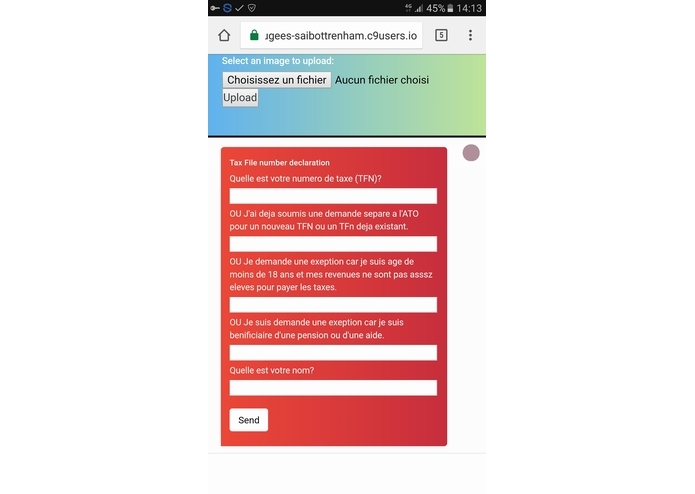 Furthermore, to partner with services that provide assistance to people with limited language skills and to adapt more features as users provide their feedback. I worked in collaboration with my team to conduct research for First Days and used my own experience as a former refugee to better the app. I worked as a creative director and assisted Tobias, a dev engineer in building the new app.